Photos by Murray Bush, Flux Photos. OAST SALISH TERRITORY – Imperial Metals, the mining company responsible for the Mount Polley Mine tailings disaster, held its Annual General Meeting in downtown Vancouver today. 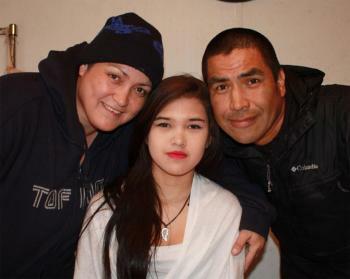 Ahousaht — Leanne John, 15, was taking part in a school field trip in the rugged and remote Bedwell Valley when she went missing March 3 during a hike up the mountain. The Maaqtusiis school student spent a night alone on the frozen mountainside. This is her story. A group of about 20 school kids from Ahousaht went to Clayoquot Wilderness Resort in Bedwell Sound. It is the off-season for the resort and the school was using the base camp for their field trip. 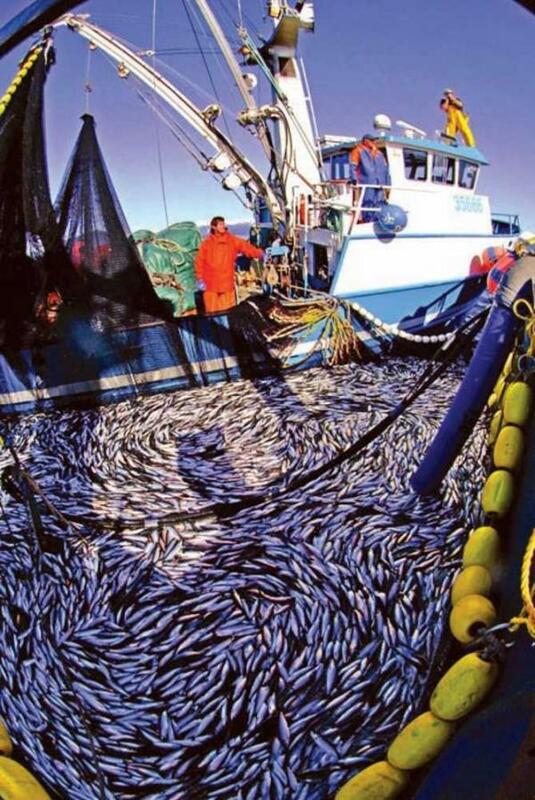 A plan to stop the commercial herring fishery off the west coast of Vancouver Island this year has failed. Five Nuu-chah-nulth First Nations had appealed to a federal court to stop the fishery because they believe the stocks are in danger of collapse. Nuu-chah-nulth biologists, elders and commercial fishermen told the court that herring stocks have been low for the past decade, and requests for a fishing moratorium made to the Department of Fisheries and Oceans has fallen on deaf ears. 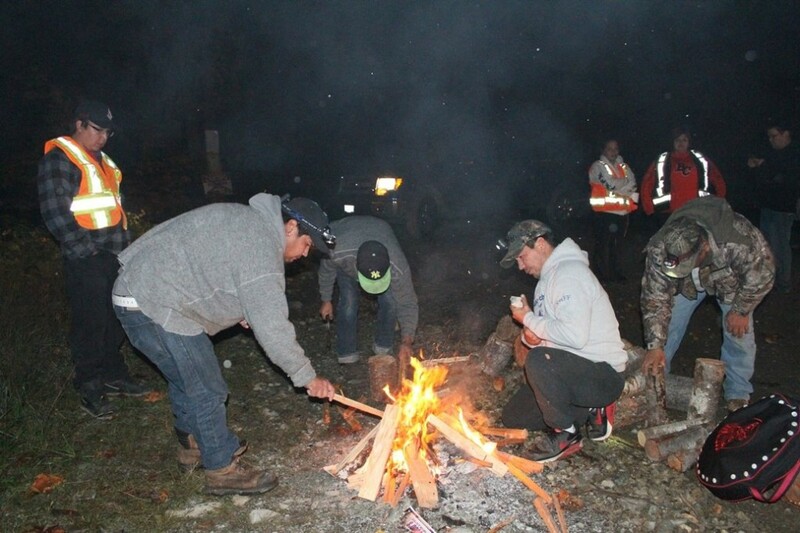 Members of the Tseshaht build fire at logging blockade, Oct 2, 2014. At 3 a.m. this morning, a convoy of vehicles left the Tseshaht Administration Building and made its way along a rough logging road to the end of Sproat Lake. By 3:30 a.m., the group had arrived at the junction of Gracie Main and Sterling Main and positioned the vehicles to block any traffic at the site. About a dozen Tseshaht members quickly went to work, building a fire and setting up a canopy for shelter. The early morning sky sparkled with stars. A tape of traditional Nuu-chah-nulth songs playing in the background had people singing while they worked. They gathered around the fire, called together by Anne Robinson, holding an eagle feather in her hand. She sang a prayer song and invited each person to say what had brought them to the peaceful protest and road closure that morning. Photo by Murray Bush (flux photo). 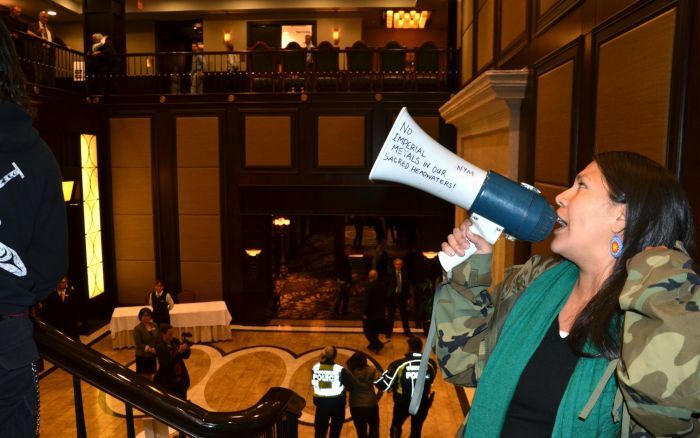 The annual general meeting of Imperial Metals in downtown Vancouver on May 29, 2013, was visited by Indigenous resisters of its proposed mining projects on un-ceded land in so-called British Columbia. 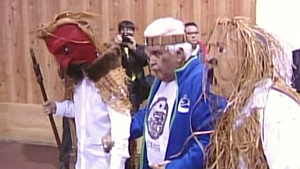 Hesquiaht member with masked dancers during reconciliation feast. The British Columbia government has expressed regret to the family of a First Nations man who was wrongfully hanged on a Vancouver Island beach nearly 150 years ago.